When you fly to Cordova, Alaska for the first time, the view will take your breath away. It’s a place like none other, where the world’s richest waters are created by the intersection of pristine lands, mountains, rivers, and 1000-year-old seawater that has slowly traveled from Antarctica. At our organization’s founding nearly 30 years ago, we were tasked with understanding how a region such as this could serve as a beacon of hope by maintaining a reliable economy and natural environment for the long term. That’s why we endeavor to consider science, economy, climate, education, and people with nearly every step. Today, as we look toward the future and a new campus for our hopeful endeavors, we invite you to come see this magical place and have your breath taken away, too. We humbly ask you to join us, now and for the long-term, so that the promise of today remains the promise of tomorrow. Our location gives us a unique vantage point to understand the earth during a time of dynamic change. Studies by our researchers reveal insight into many challenges, including: climate change, resource use and sustainability, food webs, ecosystem management, and more. Ultimately, we seek to understand how places everywhere can maintain their environments and economies for generations to come. Here’s a look into just some of our work in 2017; these projects were the core focus of our researchers in addition to many of their other long-term projects. Researching the warming trend of the last 40 years and its far-reaching implications. Understanding the base of the food web, and a whole-systems approach to ecosystem management. Studying the circulation at the terminal for the Trans-Alaska Pipeline to understand potential movement of a spill. Improving tanker vessel transit safety through Prince William Sound. Ground-truthing reproductive maturity estimates in PWS. Improving our understanding of over-winter habitat utilization by age 0 herring. Helping ADFG salmon managers make more informed decisions. Advancing general knowledge of at-sea salmon ecology in a changing world. Collecting lessons to improve resource management of this important fish. Creating a global technology community to better understand aquatic species & human impact. Detecting forage fish not measured in traditional surveys. Understanding herring populations via factors such as predation, food availability, and stock genetics. Improving the understanding and management of world-famous Copper River salmon. Determining the status of the post-spill herring recovery. Closing the gaps in monitoring in the Arctic region. Predicting when and how outbreaks of pathogens will occur. Studying marine bird species injured by the oil spill and environmental change. Finding better management practices for the subsistence egg harvest in PWS. Improving our understanding and response to oil spills. We use an innovative combination of formal and information educational programs to inspire life-long passion for science and commitment to evidenced-based decision making. Through our efforts, we help students and adults develop the necessary skills to succeed in the 21st century, including communication, teamwork, problem solving, and critical thinking. Here's a summary of our 2017 impact. Guiding 100+ students in 4th-8th grade in 2017. Bringing STEM education to remote Alaska. 2017 champions in Alaska, and on to nationals. You’re never too young to start exploring. High school students engage in restoration and exploration on the Delta. Elementary students learn to connect the dots, from headwaters to ocean. Hands-on science, day and night. High school students learn to become the stewards of tomorrow. In 2017, “mini explorations” for 100+ children and adults of all ages. Welcoming groups from near and far for a unique education opportunity. Our outreach and community engagement efforts benefit scientists and non-scientists alike, with the goal of building a resilient planet, people, and communities. Our annual publication explores the world’s richest waters. Our weekly series since 1999. Many new stories in 2017 for our online radio series. Listen now! A record 2017 for our beloved fundraiser. Honoring Bill Gilbert in 2017 for contributions to sustainable fisheries. A new campus for the world's richest waters. 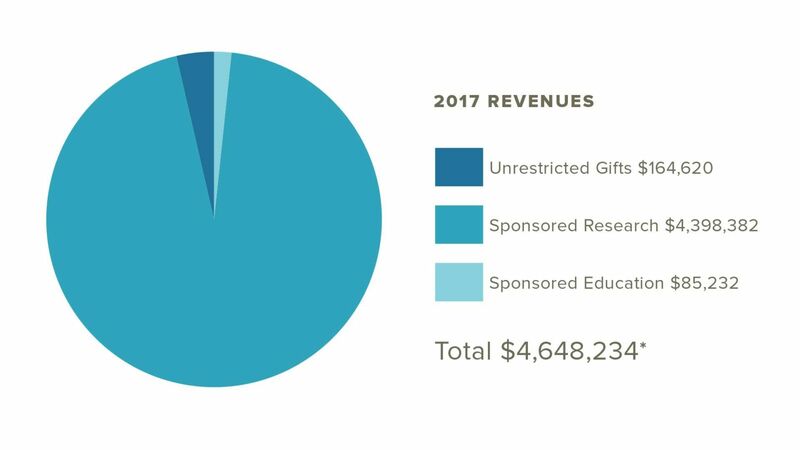 *In 2016, the organization had revenues of $5,146,687 and expenses of $5,056,405. 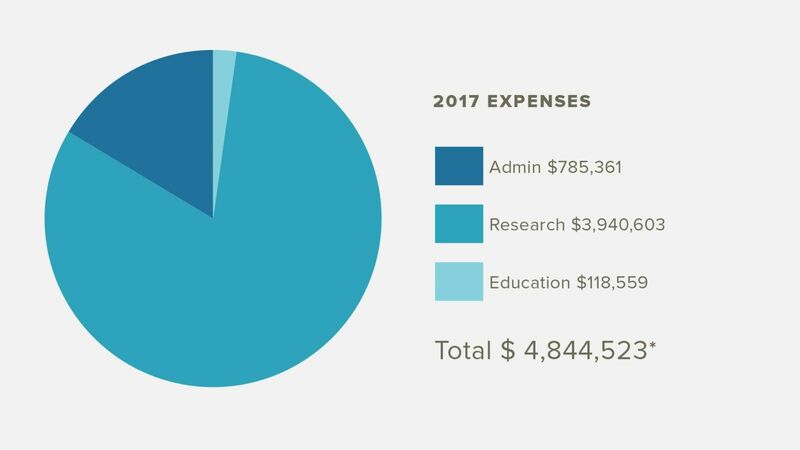 In 2017, the organization had revenues of $4,684,234 and expenses of $4,844,523. The 2017 difference between revenues and expenses is attributed to a board-mandated draw-down of reserves by the Oil Spill Recovery Institute (OSRI), the PWSSC’s sister organization for which the PWSSC has fiduciary responsibility. OSRI, which is a funding organization, used the draw-down to direct more funds toward scientific research. Sharing our work near and far is one of the most important parts of PWSSC impact. Our staff is widely-published, and here’s a summary of their publications, reports, posters, oral presentations, and service for 2017. Bishop, M.A. 2017. Long-term monitoring of seabird abundance and habitat associations during late fall and winter in Prince William Sound. Exxon Valdez Oil Spill Restoration Project Final Report (Project 16120114-C), Prince William Sound Science Center, Cordova, Alaska. 90pp. Bishop, M.A., S. Lewandoski, M. McKinzie.2017. Connectivity of Prince William Sound Pacific cod (Gadus macrocephalus) populations: Gulf of Alaska migrants or fjord residents? NPRB Project 1306 Final Report. 57pp. Bishop, M.A. and S. Lewandoski. 2017. Validation of Acoustic Surveys for Pacific Herring Using Direct Capture. Exxon Valdez Oil Spill Restoration Project Final Report (Project 16120111-A), Prince William Sound Science Center, Cordova, Alaska. 19pp. Bishop, M.A. Pacific herring: Once done spawning – Where to next? Bishop, M.A. Caspian Terns Nesting on the Copper River Delta: Too wet or too warm? Schroth, A.W., Crusius, J., Gassó, S., Moy, C.M., Buck, N.J., Resing, J.A. and R.W. Campbell. 2017. Aleutian low position drives dramatic inter-annual variability in atmospheric transport of glacial iron to the Gulf of Alaska. Geophys. Res. Lett. 44, doi/10.1002/2017GL073565. Oral Presentations Campbell, R.W. 2017. Effects of the 2013-2016 warm anomaly in Prince William Sound, Alaska. Alaska Marine Science symposium, Anchorage. Campbell, R.W. 2017. Early Season Salmon Sonar in the Lower Copper River Delta. PWSSC Lecture Series, Cordova. Gorman, K.B., T.C. Kline Jr., M.E. Roberts, F.F. Sewall, R.A. Heintz, and W.S. Pegau. 2018. Spatial and temporal variation in winter condition of juvenile Pacific herring (Clupea pallasii) in Prince William Sound, Alaska: oceanographic exchange with the Gulf of Alaska. Deep-Sea Research Part II. 147:116-126. Gorman, K.B., S.L. Talbot, S.A. Sonsthagen, G.K. Sage, M.C. Gravely, W.R. Fraser and T.D. Williams. 2017. Population genetic structure and gene flow of Adélie penguins (Pygoscelis adeliae) breeding throughout the western Antarctic Peninsula. Antarctic Science 29(6):499-510. Roberts, M.E., K.B. Gorman, T.C. Kline Jr., and W.S. Pegau. A comparison of bomb calorimetry and stable isotope methods for determining whole body energy density of a juvenile forage fish, Pacific Herring. In prep for Fisheries Research. P.S. Rand, K.B. Gorman, E.E. Knudsen, M.L. Buckhorn, and D. Bernard. Relative and total contributions of hatchery- and natural-origin Pink Salmon and Chum Salmon returning to Prince William Sound, Alaska during 2013-2015, Part I. In prep for Marine and Coastal Fisheries. K.B. Gorman, P.S. Rand, E.E. Knudsen, M.L. Buckhorn, and D. Bernard. Relative and total contributions of hatchery- and natural-origin Chum Salmon returning to Southeast Alaska during 2013-2015, Part II. In prep for Marine and Coastal Fisheries. K. Gorman, J. McMahon, P. Rand, E. Knudsen, and D. Bernard. 2017. Interactions of wild and hatchery pink salmon and chum salmon in Prince William Sound, Alaska. Prince William Sound Science Center Final Report 2016 to Alaska Department of Fish & Game, Contract CT160001756. Gorman, K.B., T.C. Kline, M.E. Roberts, F.F. Sewall, R.A. Heintz, and W.S. Pegau. 2017. Long-Term Herring Research and Monitoring Program Final Report - Herring Condition Monitoring. Prince William Sound Science Center Final Report 2017 to Exxon Valdez Oil Spill Trustee Council. Gorman, K.B. Integrative high latitude aquatic ecology: mechanisms of predator response to environmental change. University of Washington, School of Aquatic and Fishery Sciences Seminar. Seattle, Washington, April 2017. Gorman, K.B. Integrative high latitude aquatic ecology: mechanisms of predator response to environmental change. University of Alaska Fairbanks, College of Fisheries and Ocean Sciences Seminar. Fairbanks, Alaska, October 2017. Chris Guo, thesis committee member. Chris is a MS graduate student in Marine Biology (beginning fall 2017) working with Dr. Brenda Konar the University of Alaska Fairbanks (UAF) and Coowe Walker (UAA/Kachemak Bay Research Reserve). Julia McMahon, thesis committee member. Prince William Sound Science Center (PWSSC) hatchery-wild salmon and Pacific herring projects lead technician (2015-2017). Julia is a MS graduate student in Fisheries (beginning fall 2017) in the lab of Dr. Peter Westley at the University of Alaska Fairbanks (UAF). Gray BP, Bishop MA, and Powers S. Identifying key winter groundfish predators of Pacific herring and walleye pollock in Prince William Sound, Alaska. Poster presented at the Alaska Marine Science Symposium, January 22nd-26th, 2018. McKinstry, C. and R.W. Campbell. Seasonal variation of zooplankton communities and abundance in Prince William Sound, AK 2009-2016. Alaska Marine Science Symposium, January 2017, Anchorage, AK. North Pacific Research Board's Annual Photography Contest. Adult Honorable Mention: Photomicrograph of a pelagic sea snail Limacina helicina. Pegau, et al. 2017. Detection of oil in and under ice, Proceedings of the International Oil Spill Conference, Long Beach, pp. 20. Pegau, W.S. 2017. Herring Research and Monitoring Coordination and Logistics. Exxon Valdez Long-Term Herring Research and Monitoring Final Report (Restoration Project 16120111-O), Prince William Sound Science Center, Cordova, Alaska. Herring Research and Monitoring Team 2017. Herring Research and Monitoring Program. Exxon Valdez Long-Term Herring Research and Monitoring Final Report (Restoration Project 16120111), Prince William Sound Science Center, Cordova, Alaska. Pegau, W. S., K9 oil detection, PWSRCAC science night, 2017. Pegau, W. S., Oceanography of the Gulf of Alaska, Alaska Regional Response Team Scientific and Technical Committee, 2017. Pegau, W. S., et al., Detection of oil in and under ice, International Oil Spill Conference, 2017. Pegau, W. S., et al., Prince William Sound Herring Research and Monitoring, PICES small pelagics conference, 2017. Arimitsu, M.L., W.S. Pegau, J.F. Piatt, B. Heflin, and S.K. 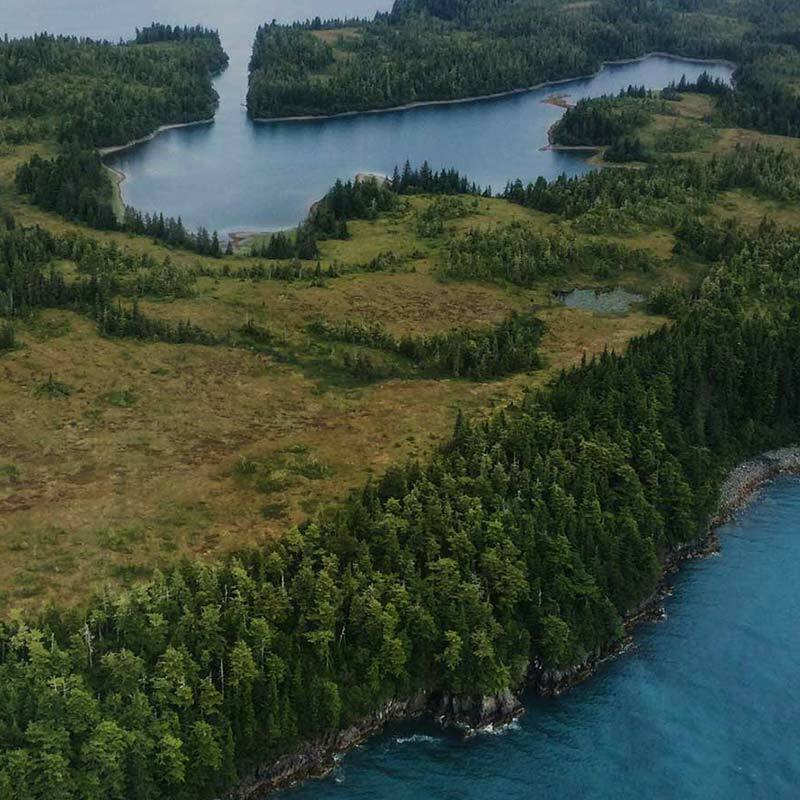 Schoen, Aerial and Acoustic Surveys of Forage Fish in Coastal Waters of Prince William Sound, Alaska. Alaska Marine Science Symposium 2017. Rand, P.S. Pacific Herring Response to Surface Predators in Prince William Sound, Alaska. Accepted with revisions. Marine Ecology Progress Series. Rand, P.S. Special session on pink and chum salmon. Western Division American Fisheries Society, Anchorage, AK. Rand, P.S. Salmon presentation to Sarufutsu community members. Hokkaido, Japan. Rand, P.S. NCEAS SASAP project presentation at the Alaska Forum for the Environment. Anchorage, AK. Rand, P.S. and KB Gorman. Preliminary results of Copper River salmon research. Delta Science Symposium. OUR MISSION IS TO ADVANCE COMMUNITY RESILIENCE AND THE UNDERSTANDING AND SUSTAINABLE USE OF ECOSYSTEMS.